Meet your new favorite keychain accessory. The Everyman Porter Key Knife is a minimalist multi-tool that fits right on your keychain and comes in handy for solving everyday problems, like opening packages or cracking open a cold beer. Right now, Jalopnik readers can get one for just $15 - nearly 30% off - plus free shipping. 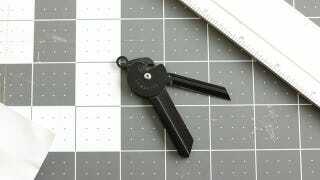 This lightweight multi-tool is designed to make everyday life easier, without getting in your way. It blends right into your current key setup without adding much extra bulk, so you’ll forget it’s even there until the moment you need it. Plus, the Porter Key Knife looks awesome, and makes a stylish addition to any keychain. Normally $21, Jalopnik readers can get the Everyman Porter Key Knife for just $15 - nearly 30% off. To make it even sweeter, shipping is included to the US. This makes for a great gift, so grab one for yourself and everyone on your list before they’re sold out!